As we already published, European Team Championship 2015 will be in Budapest, Hungary from 18-20 September 2015, and Budapest Open (individual) starts one day before (17th September). EUBGF General Assembly will be held on Saturday 19 September 2015 in Budapest. European Team Championship is open to one national team per member association. From 1st July until 1 August 2015, we announced bidding to host the 2016 European Team Championship. Requirements to bid are that there must be experienced tournament organisation, known venue and hotel with prices range established. There is an option that bidding can include also the European Individual Championship (reserved only to European players). Additional bonuses that will be regarded as plus are: sponsored added money, easy reached destination, proximity to international airports, next to big existing event, moderate prices. 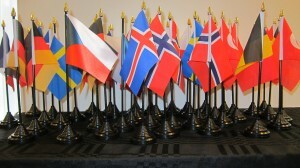 EUBGF Executive Board will vote for bidding winner-host in August. 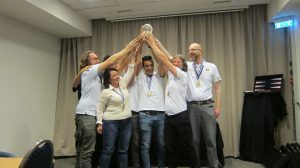 EUBGF is currently writing draft version of common tournament rules that would be applied in all member associations (draft version group is led by Raj Jansari – EUBGF Executive Board member), and when finished will be sent to all Rules Committee members, Executive Board and finally to all member associations. EUBGF will soon announce draft version of the revised Statutes that will be distributed to the Statutes committee, Executive Board and finally to all member associations. EUBGF is in the process of legally registrating non-profit organisation under Croatian law. When done, we shall open official bank account. EUBGF General Assembly will take place on 19th September 2015 in Budapest, with one delegate per Member Association. EUBGF Executive Board will during summer propose Agenda and it will be distributed to all Member Associations, with them having option to propose points for discussion at the General Assembly. Three Executive Board members term ends this year (Zoltan Peter Eross (Hungary), Mehmedalija Sijaric (Bosnia and Herzegovina), and Neeraj Jansari (United Kingdom). We shall elect three members in Budapest at the General Assembly. All member associations have option to nominate their candidate for this post (provided they don’t have member from their association already). Financial Report will be presented in Budapest. We’re currently working on ratings proposal, with Rating Committee being formed.